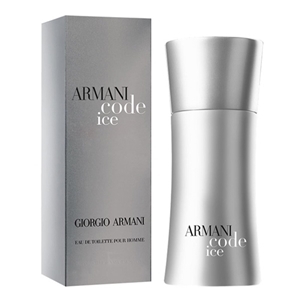 Armani Code Ice by Giorgio Armani is fresher and brighter interpretation of the original men's fragrance Armani Code. The new fragrance represents casual elegance, dynamism and strength, accented with modern character of the composition. The composition is announced as Mediterranean, fresh and sensual. It opens with accords of mint, lemon and spicy ginger. The heart of geranium and lavender is laid on the base of woody notes. This is a cool and icy interpretation of the original.